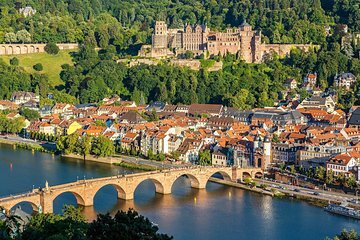 Find hidden gems on this guided walking tour of Old Town Heidelberg and its castle. Traveling with a guide allows you to visit some spots that independent travelers may miss while listening to engaging commentary on the city's architecture, art, and culinary scene. Stroll down the streets of the Old Town to see history with your own eyes, then step in to the castle to visit the castle garden, the courtyard, and the wine cellar.